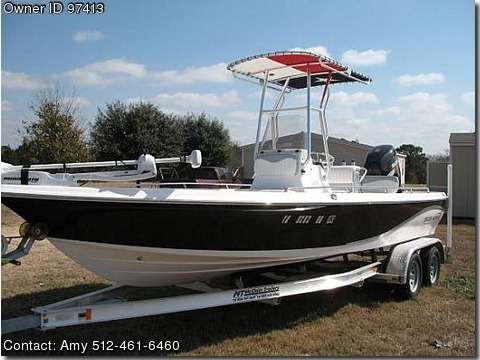 Please contact the owner directly @ 512-461-6460 or amylou73us@gmail.com...2008 Blue Wave Purebay 2200 - 22ft boat and trailer. It has a Suzuki 4-stroke 225 motor with less than 120 hours, triple bank charger for (3) batteries, 24-volt trolling motor, two live wells, Hummingbird 787c fish finder/GPS unit, K-top, 5 storage compartments. Boat is being kept in storage to protect it from weather conditions. All Aluminum double axle trailer. Boat get yearly maintenance check-ups. Trying to sell because with young kids we are not able to go to the coast that much anymore to enjoy taking the boat out fishing or for a cruise on the water.